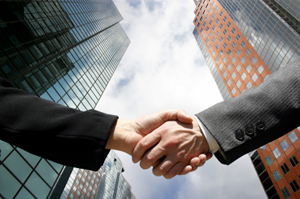 To bring more value, we actively seek to form strategic alliances with other businesses. At Amkosys we believe in redefining the IT niche by promoting a symbiotic partnership model. Amkosys invites all global and regional firms to directs the path to success in terms of generating sales and to receive lucrative business. It is all that Amkosys is sharing potential market and growth with you. Amkosys Partnership program is a win-win business model which guarantees mutual beneficial relations and outcomes for both parties involved in this symbiotic partnership. We make sure that we build competence for offshore software development methodology to ensure your success. Our partnership program provides a dedicated innovative IT professional team from Amkosys which helps you take your company to the next level yet give you the flexibility to take on your greatest challenges without the expense, delay, or inconvenience of lengthy recruiting and assessment processes. If you are a small or startup web design & development company, have more work than your team can handle, or have specific requirements which you do not have qualified/experienced developers to work on, we can offer our services to leverage your resources and execute the projects for you. Our team works on behalf of you for your customer, increasing your competitive advantage and margin of profit. You can outsource your web design, web development and web-based software development projects to us, and keep only the client interaction to yourself. If you are a web designer, content writer, network engineer or such other professional and often encounter requests from your customers involving technology outside your professional domain, we can form a partnership. While you do your part of the project and interact with the client, we do the rest of the project for you. Such collaborative partnerships are guaranteed to be very successful because you fulfill the needs of your customer without worrying about technologies or stuff you cannot do otherwise, but still earn profit out of it by getting it done by us. If you are an independent marketing professional and have a customer base with requirements for web design, web development or web-based application development, we can for a partnership where you resell our services to your customers at your rates. It is like having your own software development company. While you focus on marketing, expanding your customer base, gathering project requirements, transferring project tid-bits to the development team, we keep ourselves busy with programming and developing the project as per your specifications. In all such partnership programs, we follow our principles of trust, professional ethics and honesty. We are aware of our boundaries, and do not hesitate to ask you if we can't decide on something. Some of the highlights of our practices are: Your business & other critical information is maintained absolutely confidential. Our team works under your brand or identity if you need it for business reasons. We never approach your customer directly unless you instruct us to do so. All products, resources, and deliverables of the project are your or your client' property. Our portfolio will not include your project(s) unless you specifically permit us to do so. Our pricing does not increase if your client pays you higher rates. No discrimination among outsourcing partners with regards to quality, costs or time to deliver. We do not disclose our other outsourcing partners' information to you, sorry if you ask us. If this sounds an interesting proposition to you, feel free to write us at info[at]amkosys.com. Let us discuss and find out how best we can help each other to make it a long-lasting, trustworthy & mutually profitable relationship.